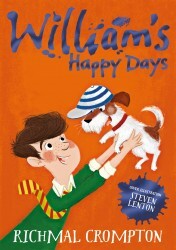 Everyone’s favourite troublemaker, William Brown, is back in a hilarious collection of classic Just William stories – now with a brand new cover-look illustrated by Steven Lenton. When William’s mother offers him a birthday party, he is suspicious – what’s the catch? Convinced that he will have to do something boring in exchange, William refuses to be caught out. But offers of food, a pet, even hidden treasure are very hard to refuse . . . This tousle-headed, snub-nosed, hearty, lovable imp of mischief has been harassing his unfortunate family and delighting his admirers since 1922.